The large glass panel in the cast iron door provides a superb view of the flames of the woodburning Vogue Midi stove. The stove can be hearth or bench mounted or can be seated on an integral wood store to create an impressive focal point. 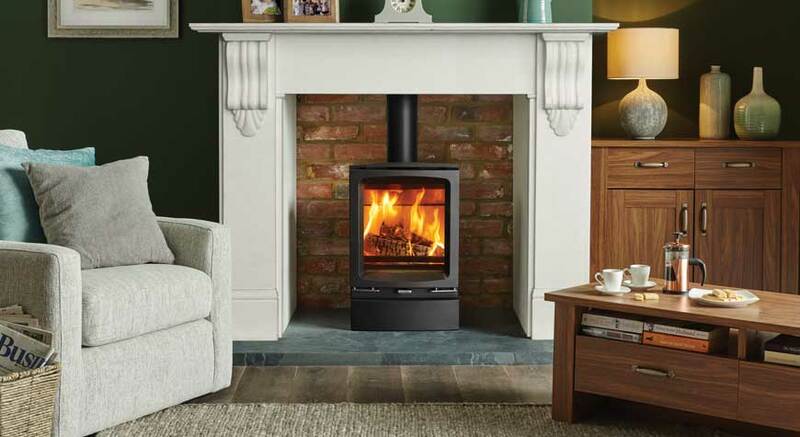 It has a nominal heat output of 5kW and 81% efficiency rating, and is Defra approved.